"Spartan Municipal Stadium," by Roy Green (6 June 2011). ID: 373 ~ Source: Image courtesy of the Photography of Roy Green. Web. 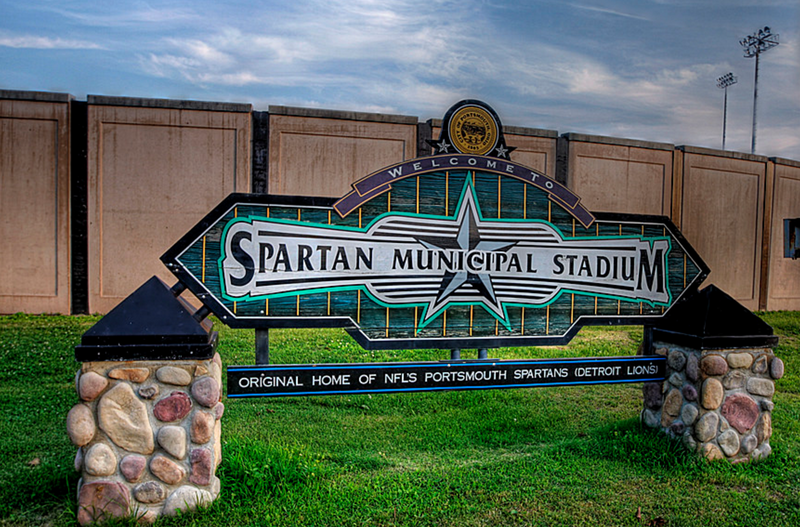 Roy Green captured the concrete stadium as a backdrop in this photograph of Spartan Municipal Stadium signage. In his commentary, Green notes that the structure is the "original home of the NFL's Detroit Lion's. The old stadium is in fair shape. I know they've done a lot of repairs and it needs more. The history here is amazing. A lot of football legends played here in the past."